Bringing research data management to the field. Projects and funding agencies are currently requiring researchers to keep their data recorded in repositories. To make such datasets useful, detailed domain-specific description is essential. Researchers who collect data frequently maintain lab notebooks, which can be a valuable source of metadata. LabTablet is an application offering the interface of an electronic notebook and providing access to data deposit platforms. 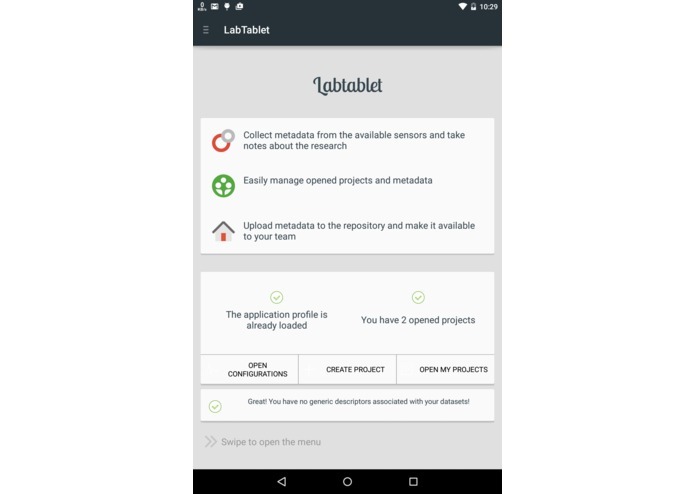 LabTablet takes advantage of tablet built-in sensors and automatically collects metadata in a field trip or an experimental setup. 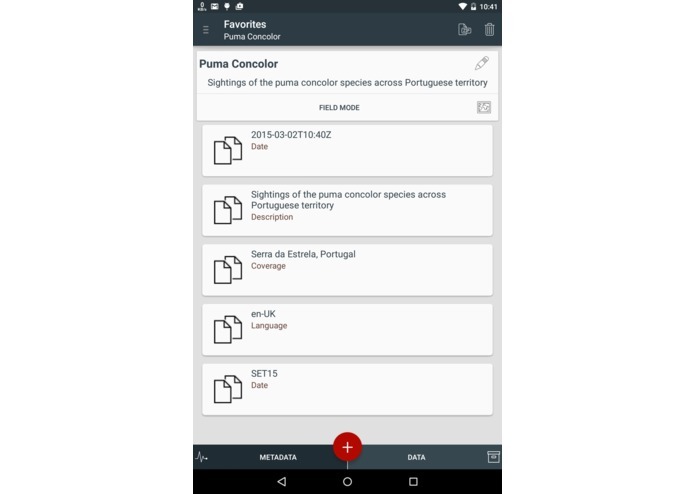 This application is particularly interesting in the biodiversity domain, as it can, for instance, use the camera to record species sightings and the GPS to associate a dataset to its coordinates. 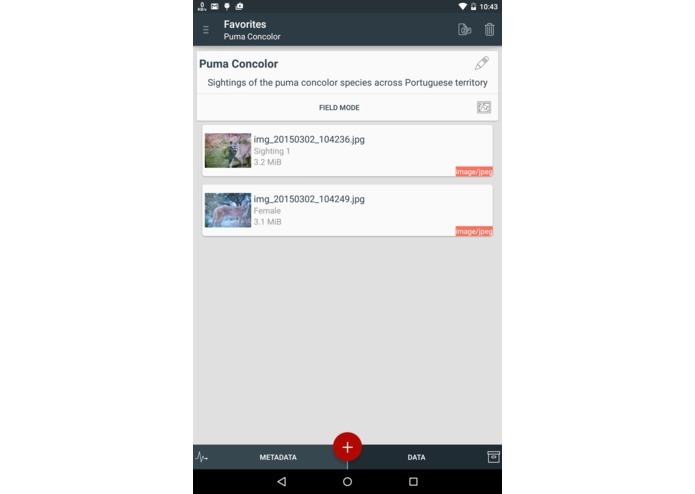 As a frequently-connected device, we can integrate this application with the GBIF API. The integration works both ways: to extract additional information about an observed species and to deposit the resulting observations in GBIF. Including GBIF information enriches the data and provides standard description, even if the dataset is ultimately deposited in some other repository. Researchers who deposit in GBIF using LabTablet have an easy way to associate automatic metadada to their data, with full control over the whole description.